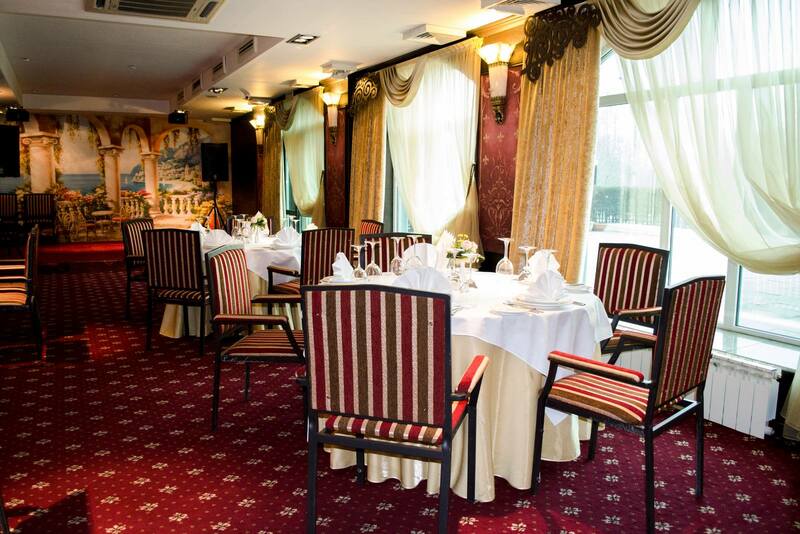 River View Restaurant overlooks the tranquil beauty of Ulba river and offer delicious specialties from local gastronomic tradition and international cuisine. A cozy spot for both, power lunches and celebrations of all types in an inviting comfortable atmosphere with prompt, friendly service. 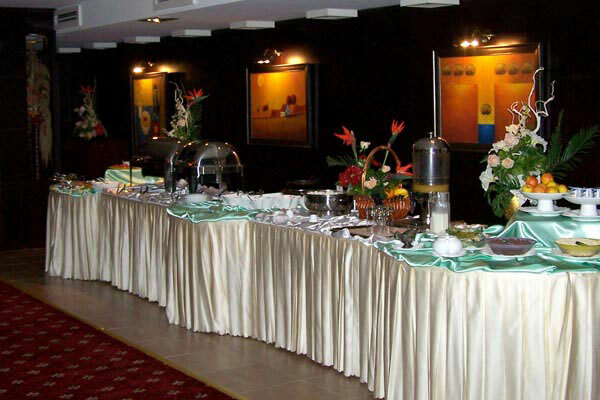 provides fresh home-baked breads and pastries, hot and cold breakfast dishes, cereals, fruits, yogurts and fruit juices. Eggs are cooked to order. 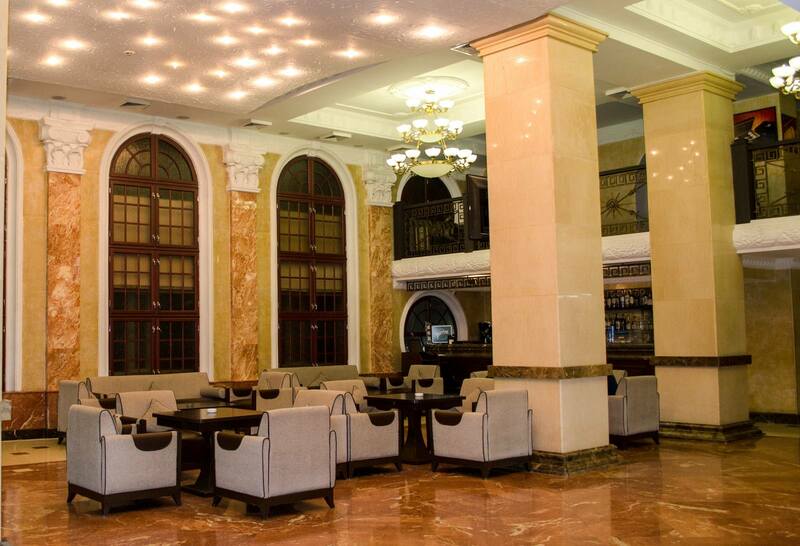 The spectacular marble lobby opens to the 24-hour Lobby Bar where you can unwind with a refreshing drink and a light snack. 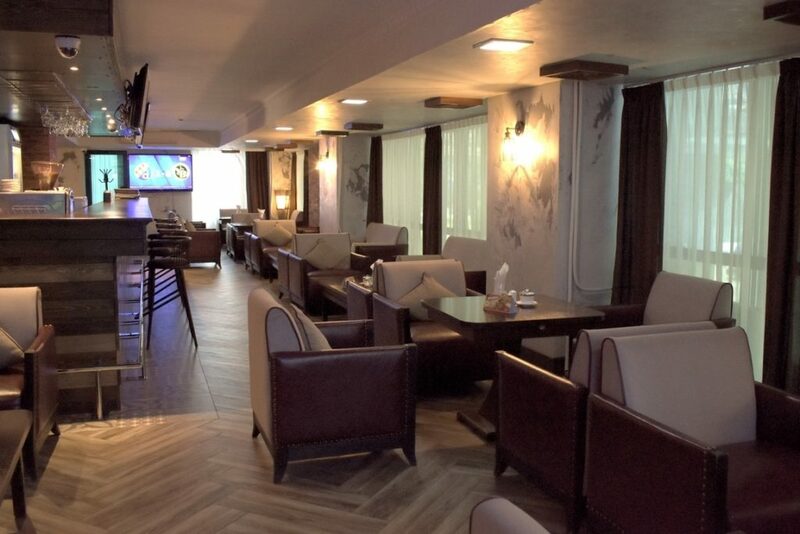 Sport Bar featured two plasma TV screens – the perfect backdrop for evening cocktails. 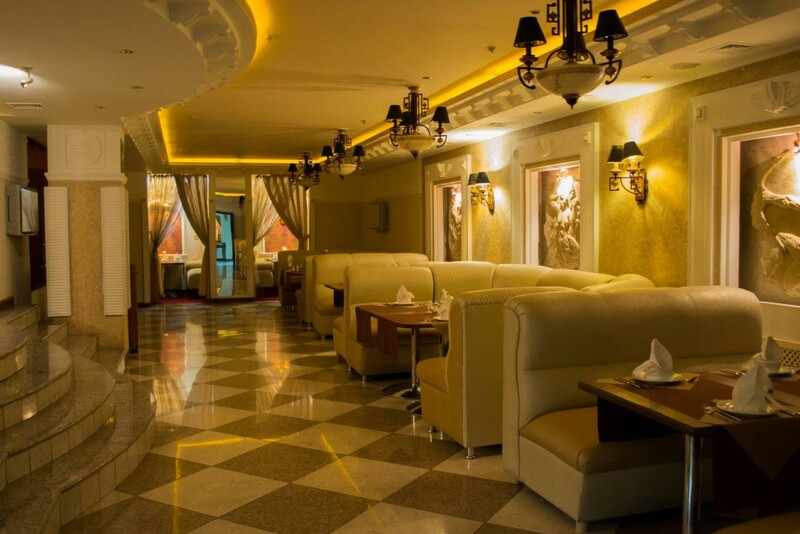 Beer Restaurant suggests you well known beer brands and variety of appetizing shashlyks. Delicious sushi is serviced in Beer restaurant.